Home » Stagecoach Outside the Red Lion, Llanrhystud – What are your Memories? Stagecoach outside the Red Lion, located in the village, within the parish boundary on the A487 in the county of Ceredigion, nine miles South of Aberystwyth and six miles North of Aberaeron, Wales. 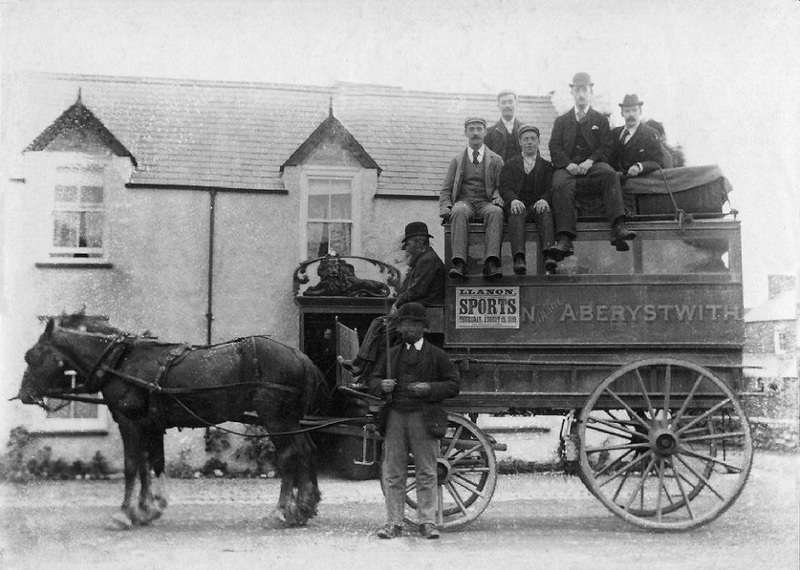 View of an stagecoach outside the Red Lion, Llanrhystud. Passengers smartly dressed sit on top of the stagecoach to have their photo taken along with their luggage. Llanon [something] Aberystwith adorns the side of the stagecoach. The poster on the side of the coach reads: Llanon Sports [something]? A stagecoach is a type of covered wagon used to carry passengers and goods inside. It is strongly sprung and this stagecoach is drawn by two horses, it made regular trips between stages or stations, which were places of rest provided for stagecoach travelers. The business of running stagecoaches or the act of journeying in them was known as staging. The stagecoach was a four-wheeled vehicle pulled by horses or mules. The primary requirement was that it was used as a public conveyance, running on an established route and schedule. The stagecoach traveled at an average speed of about five miles per hour, with the total daily mileage covered being around 60 or 70 miles. The term ‘stage’ originally referred to the distance between stations on a route, the coach traveling the entire route in ‘stages’. A fresh set of horses would be staged at the next station, so the coach could continue after a quick stop to re-hitch the new team of horses. Under this staging system, the resting, watering and feeding of the spent horses would not delay the coach.  If you have any historical facts, old or new photographs of Llanrhystud or the local area, and your willing to have them copied for the web please inform the webmaster below, all photographs will be returned. Do not forget to leave your comments regarding the stagecoach outside the Red Lion below!